Happy Mother’s Day to all the geeky moms passing down science fiction and cosplay creativity to the next generation! There’s one mom in particular I want to spotlight today: Mine. 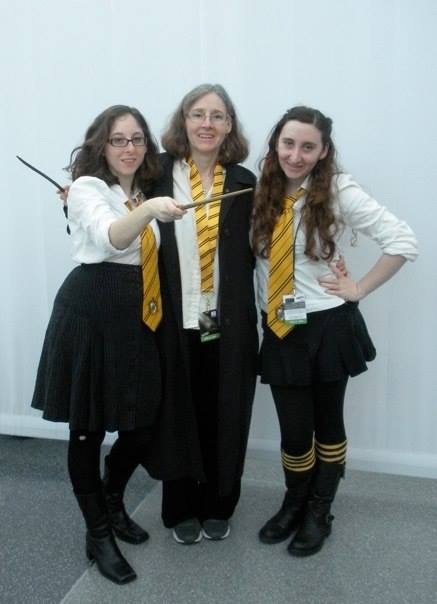 Debbie Farber is the mother of not one, but two Geekette writers, and she is the most voracious reader I know. According to Goodreads, she has read 688 books, but I know she’s read way more than that. Often, when my friends visit her house, they leave with books. She’s always reading and recommending these great little books that everyone loves. One of the coolest things about my mom is that people (total strangers) often “like” and comment on her reviews. She writes really accurate, descriptive, and fair reviews of everything she reads, and shares her opinions with family and friends. I’d like to share some of the books she loves with Daily Geekette readers.